Ice Age Survival – Threading The Genetic and Behavioral Bottleneck | Watts Up With That? Agriculture started about 13,000 YAG when “it became possible”. This is a continuation of the “top down” investigation of how civilization happened to develop. While that particular phenomena was caused by drought, the plants “died out”. Yes, trees, etc “survived” but they grew very, very, very slowly: like not being able to fertilize the crops on a farm, only this was due to lack of CO2. The dust indicates that the world was pretty much a barren, empty place. Homo Sapiens came out of Africa about 60,000 years ago. For over 60,000 years, about 3000 generations, far longer than the time back to the stone age, the struggle to survive was huge. => likely, all species of land occupants were “endangered”: plants, animals, insects, etc. Why are there few to no records, artifacts, etc? => There was “no one home”. Why did early humans “come down from the trees? Everyone was hungry all the time as there was little food to be had. Many children died and few able to survive. Families struggled to feed not just themselves, but their offspring. Family and (tiny) tribes were critical to defending any food found. Greed, bullying, and dominance had value. Grabbing resources successfully to feed “pregnant spouse and kids” was huge (if you are here). => the Neanderthals didn’t make it. there is this marvelous invention call “the computer” you might want to find out about. December 26, 2016 in Climate News. Whatever the case, the coldest intervals of glacial episodes are indeed very dusty. Hasn’t anybody here heard of the tropics? The ice ages may have been impossible for European survival, but Africa, Australia, Central America would have had balmy weather and plenty of living things. Unless the cold seas absorbed all the CO2, so land plants could not grow. typos found: life furishes, first graph; phenemena jsut above it. The singular is phenomenon (Greek). Humans were in Australia 68,000 years ago and survived. Lake Mungo in central NSW is of particular interest, glacial melt made a river go up hill and freshen the lake, but sand dunes were encroaching and eventually spread to the Great Dividing Range. I imagine by that time they would have moved further north. Also, I assume “Mar” means “Mars” and “survies” means “survives.” I like some of the reasoning that I see, but such carelessness in the figures bodes ill for the logic as well. No evidence for people in Australia that long ago, although there is for SE Asia. Good evidence for humans from c. 50 Ka and actual fossils from c. 40 Ka, IIRC, which I might not. The indigenous megafauna began dying off as soon as our species landed on the shores of Oz, however. Homo Habilus arrived early (at least 70,000 YBP) and survived here and were only pushed out and probably bred out by the arrival of Homo Sapiens some time later. This appears to show up in the DNA of current aborigines, with DNA from Homo Habilus appearing to transfer into the DNA of the aborigines about 5,000 years after Homo Sapiens arrived. “These amazing, sudden and worldwide extinctions were once considered to have been caused by climate change. However, this proposal has been greatly weakened by the finding that, for example, when the extinctions occurred 50,000 years ago in Australia, climate was cooling, but was warming when the extinctions occurred in North and South America 12,000 years ago. Once again, the only consistent variable is the arrival of humans. Whoever wants a pdf reprint, email pfrank_eight_three_zero_AT_earthlink_dot_net. Lex and chimp, get real. ‘And shortly after that came the news that Greg Adcock had extracted mitochondria! DNA from the same Mungo skeleton and from some of the Kow Swamp remains. The Kow Swamp DNA is well within the modern Aboriginal range; that would seem to take care of any last possibilities of them being Homo erectus . But the Mungo DNA, it was claimed, was indeed outside the modern range, but I and others have pointed to many problems with this interpretation, which are too complex to go into here. Colin Groves is Professor of Biological Anthropology at the Australian National University. Got your wires crossed here old mate. Homo Habilis went extinct in Africa 1.5mya. They were indeed, with temperatures only about 3 degrees lower than today. But with CO2 at 180 ppm, the growth of C3 plants (all the trees, and most of the grasses) would have slowed considerably. Mind you C4 plants like maize would have grown well in low CO2 conditions. This is just an aside to the comment about homo habilis . This is the species that is believed to have succeeded australopithecus africanus , but had evolved the ability to use tools , hence the name. However the assumption that it had died out or evolved into H erectus about 2 M years ago has been questioned by further detailed anatomical analysis of H floriensis (aka “Hobbit”) . After the latter’s discovery it was assumed that, if it was not a microcephalic modern human, it must be a variety of H erectus , (“Java Man” “Peking Man”) dwarfed by confinement on the island of Flores . However if it is a non H. sapiens hominid then the ratio of skull cavity to body size is so small that the only fit is to australopithecines , not erectus , and since it was associated with stone tools actually to H habilis, thousands of miles from its original homeland in Africa . This, it seems, is the is the conclusion , difficult though it is to believe. That at any rate was the view in 2010 from the researcher LC Aeillo: “Five years of H floriensis ” , Am Journal of Physical Anthropology , Vol 142 , p 171 If that has changed with subsequent excavation and analysis , perhaps someone here will know . It seems that virtually every hominid since Australopithecius has been driven by an urge to explore outside Africa over the last 2M years , regardless of climate and terrain. Perhaps we underestimate our ability to cope with climate change. A further aside does anyone know why the Denisovans from Siberia , contemporary with the earliest Neanderthals , but not related to them , share DNA with contemporary inhabitants of Melanesia? Hominids are truly amazing creatures. In addition to “furishes, “Life survies …” must have meant “survives, “and “Mar like desert” must be “Mars like,” hyphenated or not. Sorry to pick at such petty points, but we want to make a good impression. The split occurred in SE Asia, prior to the colonization of Australia, which happened after the population of New Guinea. As I said, no humans in Australia 68 Ka. Possibly as early as 50 Ka, but probably by 45 Ka. Mikewaite this might help for starters. Looking at the dust and temperature graph top of post, I concede 63,000 years ago is a more likely date for the first wave. tony mcleod, I think you must be referring to homo erectus, not homo habilus. Going by actual physical evidence, even younger than that is likely, but surely before 45 Ka, with circumstantial evidence for before 50 Ka. New Guinea was possibly inhabited before Australia. Agreed and they had a lot of Siberian DNA. At the Last Glacial Maximum there was a huge freshwater lake (Carpentaria) which would have produced a mingling of the peoples. The same may have happened 60,000 bp, but I have no proof at this stage because the middens are underwater. It now appears the first Australians may have been a completely different entity to Neanderthal, Denisovan or the first wave of humans around 63,000 years BP. Aargh, talking about typos, I make two worse ones myself! It’s pretty obvious _something_ happened that nearly killed off humans. Probably multiple times. The evidence is a general lack of genetic diversity in humans. What little diversity does exist happens mostly in Africa. Compared to Chimpanzees: There can be more genetic variations between Chimps in the same tribe in Africa then there exists in the entire human race. Compared to Dogs: Canis familiaris is, genetically speaking, a type of gray wolf. They belong to the Gray Wolf species and can interbreed without issue. The family is canidae, which includes most dog-like creatures.. gray wolves, red wolves, coyotes, etc. Dog ‘breeds’ are not scientific definitions, but instead are maintained by various dog show organizations based on appearances and common behaviours. As far as a species goes they are all just weird gray wolves. It wasn’t very long ago that genetics couldn’t identify which dna came from a gray wolf and which came from a dog. Genetic variations in the entire human race compare roughly with the differences between two similar dog breeds. So something definitely happen. May have not been Toba, but something happened to reduce the breeding pairs of the entire human race down to about the size of a small town; 10,000 geographically close pairs maybe. Incidentally at some point in history the ‘homo sapiens’ successfully interbred with Neanderthals based on traces in DNA. According to various websites, humans share something like 98+% of our DNA with Chimpanzees. And according to simple calculations, with 46 Chromosomes, men with our Y Chromosome are less closely related to human females than to male Chimpanzees. I always thought girls are alien species! We share about 75% of our DNA with dogs and about 50% with a banana. 98% shared with chimps should be taken with a bit of perspective. actually says their conclusions were drawn from ONE single and very fragmented specimen. Pretty poor science to build a whole theory on that alone. The fact is that here in Australia there is very strong resistance to DNA testing by the PC crowd. No doubt there are scared of what they will find, that there is no such thing as an “aboriginal race” but many, and most of these have been much more recent arrivals than 40,000+ years ago. Can you give us these fact? There is obviously no need to since you’ve already done it. Crisp is thinking of the Indus civilisation migrating to Australia approximately 4,230 years ago. They were the people who brought the dingo, sharp tools and a sophisticated language. Re DNA studies. Aboriginal people have been dubious of any scientific testing, after past bad experiences; it’s not the “PC crowd”. However there has been a recent major research program with participation by Aborigines across the country and there will likely be some publications in the near future. The statement “there is no such thing as an “aboriginal race” but many, and most of these have been much more recent arrivals than 40,000+ years ago.” is unsubstantiated by the data and reflects perhaps the views of the “other PC crowd”. Apparently vast areas of formerly ice-covered lands were exposed, and for a brief time were covered by grasses that didn’t need to worry about competition. In that ideal situation, which didn’t last very long, certain sorts of grass crossbred and produced hybrids that cannot survive very long in less-than-ideal conditions. These hybrids would have vanished, but desperate and starving humans gathered the seeds, and replanted them because they were so much more nourishing than ordinary grasses. One of these hybrids was wheat, which became our daily bread, and which would become extinct very quickly if we didn’t care for it. The Kurdish mountains of SE Turkey in which einkorn wheat (~9.8 Ka) originated were not heavily glaciated. Emmer wheat (~11.6 Ka) comes from the southern Levant (Israel, Palestine and Jordan today), so again, not much in the way of ice. If people in the Fertile Crescent nine to eleven thousand years ago intentionally bred the traits of domesticated wheat or they arose via incidental selection is not known. Whether Lapps are descended from Magdalenian (post-LGM, c. 17 to 12 Ka) reindeer hunters and herders or not, their way of life is considered as a possible model for the last Paleolithic culture in Western Europe before the Mesolithic and Neolithic. Ah. Finally. This is a drum I’ve been beating for a while now. Another aspect that you could add to your discussion is that the Pleistocene dust storms correlate with drought as well. Prior to ca. 10,000 BP precipitation correlates positively with temperature proxies in both Antarctic and Greenland ice cores. Dust IIRC correlates negatively. The Temperature/Precipitation regime inverts with the beginning of the Holocene in those same cores. It’s fun watching them “explain” why CO2 is a bad thing. Barbara, I suspect you have missed out some crucial information. There are very few substances that are dangerous to health in themselves, it is the amount, or dose that is critical. If you breath nothing but CO2, you will find it is somewhat injurious to health. If you do not breath any CO2, that is also likely to to harm you in the longer term. The issue with CO2 is not whether it is good or bad, but the amount, and observations confirm that CO2 is increasing in the atmosphere. Many scientists consider that as having a bad effect on our environment for one reason or another. There may be some advantages for plant life in increased CO2 levels, but the big question is, do they outweigh the disadvantages? Gareth the extra CO2 is harmless and beneficial as the world enters a cool phase. That is, there are disadvantages in not forcing more into the atmosphere at this critical moment in history. Think of future generations laughing out loud at the clowns who introduced CO2 restrictions at the tail of the Modern Climate Optimum. “Sola dosis facit venenum” – most often translated as “the poison is in the dose”. Renaissance giant Paracelsus concluded that some 500 years ago thus laying the foundation for modern pharmacology and revolutionizing medicine. That said, have you considered that CO2 levels in a meeting room or class room regularly top out at 3000+ ppmv and that nobody has yet been shown to be harmed by that? And also that those “many” scientists who consider high CO2 levels bad for the environment turn out to be ideologically biased towards the green end of the spectrum? Meanwhile plants demonstrably love the stuff – just ask the tomatoes in your local greenhouse who get 1500 ppmv three times a week. Or even more convincing, check at the latest data about the increased greening of the earth [less dust] and [contrary to the prognostications of the doomsayers] higher yields in agriculture in tandem with increasing CO2 concentrations. There are no disadvantages from CO2 at 400 ppm vs. 280 ppm, only benefits for plants and other living things. No may be some advantages about it. Even better yet would be CO2 at 600, 800 or 1200 ppm. Humans don’t suffer even at levels much higher. In submarines, CO2 concentration can reach over 10,000 ppm, ie one percent, yet submariners tolerate those ambient conditions. If higher CO2 also makes the world slightly warmer, that too is all to the good. That might have been true if we’d managed to ease the level from 280 to 290 over about 200 years. Tony the extra CO2 is of no concern, GAIA has the sinks working overtime.
. There may be some advantages for plant life in increased CO2 levels, but the big question is, do they outweigh the disadvantages? As already mentioned, there are no disadvantages to more CO2 in the atmosphere. It does not acidify the oceans—seawater is too complex a buffer to be affected by such a weak acid and the protons (H+) released by this weak acid cannot affect its own equilibrium—only a large source of exogenous (other source) protons could do that. 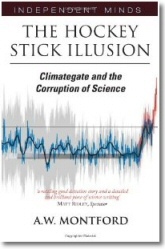 CO2 cannot detectably warn the climate. It is more likely that water vapor and CO2, which are called radiative gases, have little effect during the day as they are saturated with IR radiation but they serve at night, unopposed by incoming radiation, to cool the atmosphere as they convert heat energy into IR radiation, which is lost to space. The night-time effects of these radiative gases are NOT, repeat NOT included in any of the global climate computer models, none of which even include a day/night cycle, completely ignoring the daily temperature changes. CO2 does not make fish confused or does not make prey approach predators. It does not have any effects on human cognition until over 50 times higher than now. Reports of such unsupportable effects by CO2 should be grounds for those researchers’ degrees to be yanked. Not fast enough is not a bad thing, the gods are smiling upon us. Its my melancholy duty to inform you that CO2 does not make the world a warmer place. Photosynthesis: Plants/Plankton turning Sunlight/CO2 & H2O into Food/Oxygen – the Foundation of Life on Earth. Neither animal nor blade of grass would exist, absent CO2. It extends growing seasons & lets plants move higher in altitude & Latitudes; just as it shrinks deserts, plants using H2O more efficiently. Rising temperatures also extend growing seasons, help babies of nearly every species, increase net rainfall & save lives. As CO2 levels rise, photosynthesis flourishes & plants take in more CO2, sparking more plant growth, more photosynthesis & CO2 uptake; a win-win for plant & animal life. The Earth is greener, more fertile & life sustaining than it was 30 years ago. Yet another thought provoking post for me to try and digest. Not surprising that pigs were originally domesticated in China and Anatolia, but what happened next is possibly surprising. Or maybe not, if you’re familiar with swine behavior. Beer and wine were safer to drink than the water,since the water had all sorts of nasties that could kill you. Interesting thought, it is easy to picture the “guys” getting together to figure out how to up production of desired product, necessity being the mother of invention. required grain and that was the beginning of agriculture. hairdressing. This was the beginning of the liberal movement. Some of these liberal men evolved into women. meat and beer that Conservatives provided. by the largest, most powerful land animal on earth, the elephant. Liberals are symbolized by the jackass for obvious reasons. women have higher testosterone levels than their men. wasn’t fair to make the pitcher also bat. business of trying to get more for nothing. immediately to other true believers and to just piss-off more liberals. Nah, it’s more fun to delight those scared and depressed by collective guilt and their hopeless tipping points. So how do you explain why it is that it’s the liberal, “blue” states that pay for the indulgences of the conservative “red” states? Humans didn’t suddenly change from being hunter gatherers to being farmers. Instead, we started by gathering – and simply through that process tended to help certain plants (by trampling down others and spreading the seed through faeces – e.g. blackberries). That would have morphed into more habitual “clearing” of unwanted species, which would eventually, for example in Britain, have produced acres of hazelnut trees. These managed areas would not initially have been farming in the sense of “nurturing” desired species, but instead it was more the inverse: humans would cut down for fire-wood and for timber the less desirable species – which over time would leave only the desirable species. Eventually this would have developed into simple “farming” – initially only in the sense of intentionally transplanting species from one area to another to create a new area of “managed wilderness” or to help grow the size of present areas. But as human populations grew, it would become more and more necessary to protect these managed areas against other groups. This period of development of embryonic “farming” was probably one of intense inter-group rivalry where the growing population meant that several groups would descend on a patch of anciently “managed wilderness”. And the biggest/fiercest group (or perhaps just the first) would get the resources so that the rest had travelled many miles for nothing. This in turn forced humans to become more geographically nucleated concentrating more and more on plants that could be nurtured in their home locality where these valuable resourced could be defended against others. And as populations grew, the home areas reduced in size, that in turn, meant more and more concentration on plants that could be grown in smaller denser patches. Which meant more and more backbreaking work preparing the ground, planting etc But paradoxically, whilst the home territories got smaller – the result intensification of land use meant that (some) groups flourished. Which then further increased populations of these farming groups – which then increased populations – until it was no longer possible to be a hunter gatherer in these farming areas. So farming wasn’t some great innovation, instead, it was a skill developed when we were still hunter gatherers able to wonder around the “garden of Eden”, which later became a necessity as population levels rose so that it was no longer possible to rely on unprotected widely distributed food resources and we were forced to settle down and work the soil. Hi. You should read a book called “Guns, Steel and Germs” to get an understanding of how agriculture and farming developed. There are lots of ideas about how agriculture developed, but they all have in common that the end of the Pleistocene and the Early and Middle Holocene were tough times. Humans can survive as pure carnivores (yes, even adequate vitamin C if you eat the right organs), but that requires relatively small populations and optimal hunting opportunities. They cannot survive as vegetarians without encountering nutritional shortages – esp. vitamin D. Modern vegans are a product of industrial civilization. As populations increase in size, greater stress is thrown on the larger prey animals. As that happens the consumer is forced down the food ladder, “intensifying” economically by leaning harder on less nutritious and palatable resources (grains, plants, etc.) that often require far greater work effort per calorie. The correlation between dietary deficiencies and reliance on one or a very few critical, comparatively low food value crops is clear to organizations like the Peace Corps and Doctors Without Borders, since one of their main problems is dealing with dietary deficiencies and related diseases like kwashiorkor and rickets. Peter – a very interesting book. It is one man’s interpretation, quite well argued for the general public [like me]. Jared Diamond, the author, has written other interesting books related, more or less, to human evolution. Auto, typing with a cat draped over one arm. Yes, agriculture was started for two reasons. As you mention, for production of beer and other alcoholic beverages. And two, it coincides with the blonde hair trait. Why leave a village to go hunting with smelly mates when you have beer and hot looking blondes back at the village watering hole…. Beer produces CO2, which benefits the barley, which produces more beer. Isn’t nature wunnaful? “Mar like desert” or “Mars like desert”? 2. Also what are the numbers on the X-axis for these two graphs? This is not at all clear (to me at least!). 3. What is “YAG”..is this “years ago”?. If so, this is rather non-standard…why not use “BP” or something more commonly used? An alternate idea is that there are huge archeologic sites remaining to be found along the coasts of ancient shorelines, buried under 400 ft of water. I often wonder how many early villiages, towns, and perhaps even significant cities might lie burried beneath the waves. At least one such exists in the Bahamas, and I believe several have been found off Europe. No cities from the LGM, but good evidence for villages, of sorts, at least temporary. I’ve read/heard of more than one off the we(s)t coast of Canada (BC). Probably Oregon, California, etc., as well. See ‘Waterworlds’ the large format coffee table book. There are submerged megalithic cities all over the tropics. Several each side of India, for example. Artifacts and mammoth remains have been retrieved from the continental shelf east of the current coastline of North Carolina and the Chesapeake Bay. Hundreds along the former shore line of the Black Sea, which flooded to its present extent about 7,600 years ago. There are also drowned cities of the east and west coasts of India – or might be. The east coast city is real and was actually dry land until a thousand years ago or so. The other “looks” good on sonar, but the Indian government blocked any study there. It is right on the border with Pakistan. If real, it would be around the same age as the Turkish site at Gobekli Tepe, terminal Pleistocene-Younger Dryas. Sounds likely. Looking where it’s easy to look makes it easy to overlook stuff. Doggerland however is from the Holocene, when sea level had already risen quite a bit. That part of the North Sea is shallow. It was inundated after the 8200 years ago cold snap, the last blast of the last glacial interval during the deglaciation process, caused by a Dryas-like fresh water surge into the Atlantic due to melting of the last major NH continental ice sheet besides Greenland. The Storegga Slide, and following tsunami, didn’t help, either. I said it was a good day, not a great day! So, there is a correlation between atmospheric dust and temperature? Great. What caused all the dust? Colder is drier. Dry soil gets picked up by winds more easily and winds are stronger during glacial intervals. 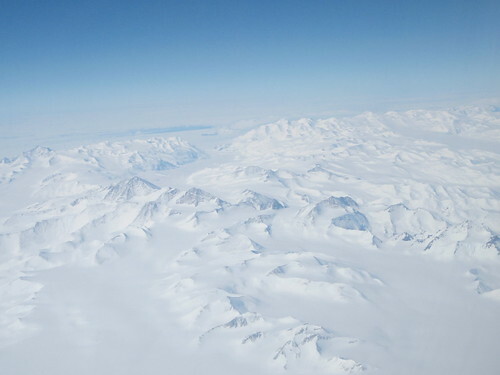 The continental ice sheets affected precipitation, so that periglacial lakes formed around them even while total water vapor in the atmosphere fell during glacial millennia. There are terrible dust storms during glaciations. I live on loess soil. ie dust deposited during the glaciations, as do hundreds of millions if not billions around the world. Also, ice sheets and glaciers moving back and forth grind up a lot of rock into powder. 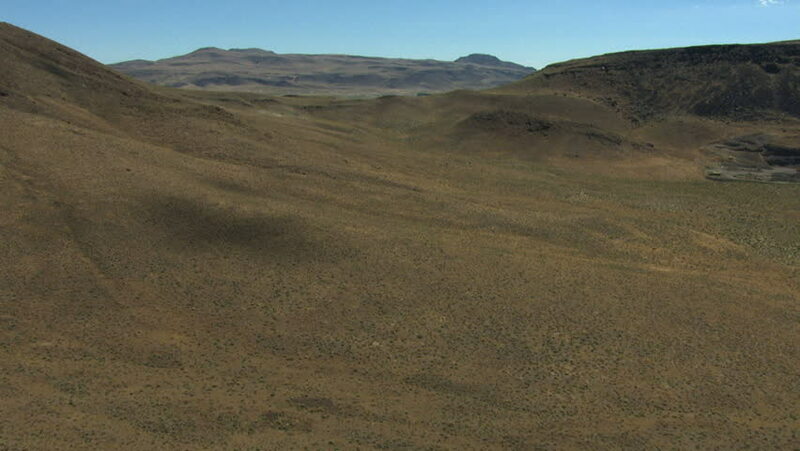 A barren landscape with no or only little plant-cover. Why? Because it was much drier and there was to little of the other vital plant-food: only about 180 ppm CO2! Ok. So, the dust settling, eventually, caused things to warm up? >>ice sheets grinding up rock. Yes, Ganopolski has written four papers promoting the glaciogenic dust theory. But this completely ignores the fact that the Greenland ice core dust has been isotopically identified as comming from the Gobi. Ergo, this was NOT glaciogenic dust. ‘Colder is drier’. No necessarily. Colder can also mean less evaporation and so more water. Colder can also mean more run-off from glaciers and regular winter snows feeding rivers. This was the case in semi-arid Australia where there was more water around during the glaciation than afterwards. Glaciers (small, ca 25 sq km) and regular snow provided seasonal inflow to rivers and lakes and cooler weather meant less evaporation. It was windy and desert dunes were active, but the lake-side sand dunes at Lake Mungo and similar places (where people camped) formed during the ice-ages because there was water in the lakes. The archaeological sites are full of fish. The lakes dry and the river discharges drop after the end of the ice-age. It may seem counter-intuitive but that’s not unusual with complex systems. This article is pretty profound if it’s saying what I think it is: CO2 was so low for most of the last 100,000 years that humans barely were able to survive, and agriculture was no possible until CO2 rose to well over 200ppm. As a side note I’ve heard some skeptics question the validity of those proxy measurements of CO2 going as low as 180, as they say it doesn’t make sense because everything would die. Maybe it does make sense, as everything almost died. No evidence exists that CO2 affects climate temperatures. But we are seeing more and more evidence that the world tottered perilously close to apocalypse as CO2 levels sunk under 200ppm. It sounds like even at 280ppm CO2 the world was at sickly low levels of CO2, and if it were human intervention that caused that ppm level to rise to 400ppm that was unquestionably a good thing. Ehrlich and Holdren etc preached in the early ’70s that mankind would be facing mass starvation by the 1980s. Then they preached that CO2 was a killer gas that we had to stop emitting. The irony is that without the increase in CO2 we may very well have suffered mass starvation as I hear agricultural productivity has increased by up to 30% because of increased CO2. Remember, greenhouses are typically kept at 1000ppm or higher, which is only 1 part per thousand. 1000ppm should be our goal. Our goal should be to INCREASE CO2 emissions, quickly. That’s why things like the PARIS ACCORD which will whittle down our industrial base, and cost trillions, need to be summarily scrapped. Please bear in mind that CO2 levels which retard reproduction are higher than those for outright starvation to death. C3 plants can survive without thriving. Present levels are still well below optimum for C3 plants to flourish. Had humans the capability, our best bet would be to turn the whole planet into a literal greenhouse, with CO2 at a minimum of 800 ppm, although 1200 is ideal. Being a little warmer wouldn’t hurt, either. Maybe two degrees C warmer at 1200 ppm, ie another fraction of a degree from 400 to 600 ppm and at most 1.6 degrees warmer for 600 to 1200. But unlikely humans will be able to boost CO2 beyond 600 ppm. Aren’t you ignoring the “saturation” effect of CO2 as a “greenhouse gas”? I seem to have seen that at 600-800ppm at the most. I don’t know if the effect is saturated at that level, but since the effect is logarithmic, adding more CO2 has a diminishing impact, like another coat of white paint on an already white wall, to borrow Lindzen’s analogy. Chimp. Great links! Your links, like on the juniper fossil, is another confirmation that the proxy measurements of extremely low ice age CO2 levels are likely correct. 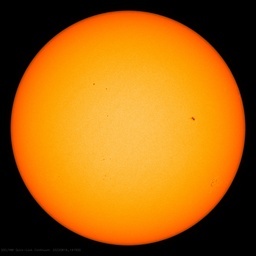 And as we may be heading into another ice age within centuries it would be good to get CO2 levels up as a precaution as when the next ice age hits we are going to need every bit of that extra CO2 in the atmosphere to help keep food production up, otherwise billions would starve to death. Latitude. The leftist loons just want to de-industrialize. They’ll think of something so they can keep screaming and yelling about that. Instead they need to be in prison for endangering humanity, just like the communist professor that said all he wanted for Christmas was white genocide. IMO reality and truth will eventually prevail. The sc@m can’t be maintained for another 30 years. And it has been ignored for far too long. In Ellis and Palmer, I had great problems convincing the peer-review panel that Co2 could cause LGM dust. However, when this idea becomes accepted, it will also change the LGM climate. I discovered that tropical mountain tree-lines had been used to determine LGM temperatures – based on the idea that tree-lines are solely determined by temperature. But this reasoning produced high lapse rates that made no sense, and so tropical LGM temperatures at sea level were artificially adjusted lower, to make things fit. However, if tropical tree-lines were primarily determined by CO2, then tripical temperatures at the LGM need not be as low as has been claimed. I thought this had all been settled. Now, another monkey wrench gets thrown into the works. The last time the planet experienced planetary CO2 levels as low as the Pleistocene/Holcene was 250,000,000 years ago. It was terminated by the Permian Extinction. When you hear people yelping about current extinctions, it is possible that things are still rocky. Roads. lights and pipelines don’t help, but maybe that they only the last straw. So our current level – say 410 ppm – is accurately reported, to the nearest one tenth of one percen [pretty accurate, no?] as, ummm, ‘Zero’! And at that very low level of CO2 and dry climate we had vast herds of gigantic hairy elephant like creatures and giant bears and giant saber toothed kitty cats and gigantic sloths, gigantic armadillos the size of Volkswagens…and the list is very long…lots and lots of gigantic animals! The megafauna lived off grasses and other plants, many C4 and CAM photosynthesizers, and their biomass en toto wasn’t actually all that great. Well, a percentage of them did. I sometimes think the same myself, some “of them did”. Nikolay Valuev, former boxing World Heavyweight Champion. His ring Name – “The Beast from the East”. Some 23 Stone – 320 lb or 145 Kg, so you can see why he was a Heavyweight! No percentage of Neanderthals made it. A small percentage of their genome made it into the modern human genome. Not the same thing. In all people living today, we have maybe a total of 20% (high estimate) of the whole Neanderthal genome, but in no living person no more than four percent in any one individual genome. Dust during the dry season wind storms called “Harmattan” in Nigeria put an average of 99 grams dust per square meter on Kano region fields. This dust is actually phosphorus rich & local farmer lore is that an active Harmattan dust season predicts excellent yields. This dust is also higher in both trace minerals & organic sourced carbon than the local soil. 1,700 A.D. dust generation was related to precipitation. Then human agricultural expansion became a factor. For this particular issue see Mulitzu, et al. “Increase in African dust flux at the onsetbof commercial agriculture in the Sahel region”; free full text available on-line if interested. Possible they wanted a die off of humans. They do indeed. To them, humans are a pox and plague upon the land. At least Americans and all industrial peoples are. Except for Communists of course. I would like to highlight the existence of C4 plants which, to my knowledge, emerged in the tropics at the last ice age because of the CO2 shortage. C4 plants have a different metabolism and can cope with very low CO2 levels. They reach their maximum production at about about 200ppm. They are also more tolerant to draught. I think the last ice age was dusty because of the lack of water in the atmosphere, the water was bound in the ice. The die-off of the vegetation outside of the tropics was not only the result of low CO2 levels. C4 photosynthesis has evolved dozens of times, mostly during the Miocene. There may be some instances as recent as the last glaciation, but I’m not familiar with them. Even the higher than present levels of CO2 in the Miocene, but still much lower than usual for the Phanerozoic Eon, favored the evolution of more CO2-efficient photosynthetic processes. A chart recently posted here at WUWT showed peak growth for C4 plants at above 1000 ppm. For C3 it was about 1500 – does anyone remember the link? Tell me if you think I am crazy. This whole “C02 makes the planet heat up” thing has never made sense to me since I too grew up in the cooling period of the 50’s, 60’s and 70’s. All that new industry pouring tons of C02 into the air and the planet cools?? I understand “they” will make it go away but I remember it. The crazy part is that I am starting to suspect something sinister going on. The UN said they would get rid of Tony Abbott and Stephen Harper. I didn’t think they could do it but they did. I am amazed that “they” allowed or were unable to stop Trump from being elected. Now my province of Ontario starts it’s cap and trade in January and Canada will start it’s carbon tax next Jan. I don’t think there will be anything left of Canada shortly. In Ontario already 79,000 households have had their electricity disconnected. The only way I can live is by not being there. Europeans are also realizing that they are no longer needed and are finding it harder to survive. I don’t even want to think about the poor people of Greece. I am seeing the IMF doing the same thing in the Bahamas. The Bahamas borrowed money, and then more, their credit rating kept being cut so the interest rate increased and the government was TOLD to implement a VAT tax. A value added tax in a country that does not produce anything?? And in a very poor country where now a quarter of people no longer have electricity. Do you think the Elites are trying to get rid of us peons? Btw, um, who at the UN “said” they would like to get rid of Tony Abbot? Just, that I would like to send an email thanking them. The UN said they would get rid of Tony Abbott and Stephen Harper. I think Stephen Harper’s heart wasn’t in it any more. He kind of got rid of himself. Agree completely! A really halfhearted campaign effort. I think he would have won with a bit more dynamic effort in the last two weeks. Now we’re stuck with Pierre Jr.
Or to quote V-ger, the cloud-machine sent to find the god machine that created the Voyager spacecraft that they had found floating in space in the classic Star Trek The Movie, “Why are carbon units infesting the Enterprise?” Humans ARE the carbon pollution that need to be eliminated to purify the earth according to the Stop the World I Want to Get Off crowd. Well, this post is a mixed result in my opinion. Genetic studies make it reasonably clear that homo sapiens as a distinct species emerged some 200k years ago in south central/western Africa. It also makes it reasonably clear that there were at least two waves of migration out of Africa. And that anatomically modern humans reached Australia about 65000 years ago. That said, it is also clear the world was vastly different, in the grip of an ice age. The Bering Strait was dry land and Doggerland (now under the North Sea) habited. Hence the migration of ‘native Americans from Siberia maybe ~20,000 years ago. We know this because they have the least mitochondrial genetic diversity, hence must be the ‘youngest’ population, while the Sun of central Africa have thenhighest, therefore oldest. Now, as to CO2, other than ice core revealed CO2 small deltas, not much going on. Main CO2 predicate is subduction zone volcanics, not ocean mixed zone temperature. As to dust, sure. Lower sea levels, different atmospheric patterns. But most of that we dunno, because ice core dust reveals local mostly polar patterns, while the world is mostly not polar. … and that is where we lived. Why? Because that is where the FOOD was. There was no trees, or vegetables or nuts or berries or roots and no agriculture and there nothing but desert and ice and tundra and grassland. But on the grassland, there was a lot of C4 grass grazing herbivores, especially the wild cattle and bison. We used persistence hunting or scavenging to obtain our food, That was the only two choices we had. C3 plants like wheat or vegetables were not available until 12,000 years ago because CO2 was too low and rainfall was too low before this except in the rare interglacials. Humans (and that includes Homo Sapiens, Home Erectus and australopithecus) ate meat almost exclusively whenever it was cold during the last 28 ice ages because that is ALL there was. After it got warmer, and CO2 increased and C3 plants re-established themselves, then Homo Sapiens figured out how to use them more efficiently. 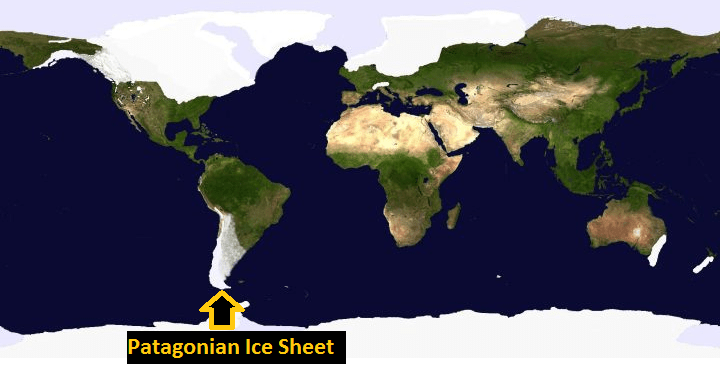 Look up “Ice Age vegetation maps” and see how small these rainforests were. They would not be called rainforests but just closed forests. And most of that was in the Americas where humans did not live in yet. Bill, it was a bit dryer generally so there was a little less forested areas around, rain and otherwise. But you seem to paint it as being just desert and tundra with the odd bison here and there. That is obviously not true at all. Only true if you lived on a prairie. The vast majority were doing what they’d always been doing – hunter/gathering. Again only if you were unlucky enough to living on an icy, windswept prairie. So for the vast majority – again, simply not true. As with all hunter gather societies the gathering – of plant product, mostly by women provided the staples and that would have been the case for a very large number of prehistoric humans (who were lucky enough to not be living on a prairie. I have nothing against prairies btw, it’s just that I live in a sub-tropical rainforest and I think I prefer it). Plenty of food- most of it not meat. Bill I know that you’re trying your best to paint a cold, low CO2 world as bleak and nasty – I get that. But guess what, most people were having a pretty good life at the time not living on frozen prairies but in nice food rich forest areas and, abrupt Toba-like climate shocks permitting, were doing quite well. I agree Tony. Almost everybody here, starting by Susan Corwin, is displaying their ignorance on paleobiology. The world they paint should have caused a mass extinction, yet we know that species diversity did fine during the Quaternary Ice Age with not that many species lost and many appearing at every ecosystem, including the rainforest. The world supported a much bigger variety of megafauna through lots of glacial periods (which pretty much contradicts the main point of the article) until about modern man emerged. In a big swept, most megafauna outside Africa, including all non-jungle hominids disappeared in short order. Neanderthals disappeared from Europe coincidentally with the arrival of the second wave of modern humans, while they had been able to resist the first wave during which they mixed. They were outcompeted and perhaps eaten in a world where calories were not that easy to come by. All of them? Part of them? where? For over 60,000 years, the struggle to survive was huge. You need to read Charles Darwin. The struggle to survive is one of the constant rules. Only civilization has allowed to bypass that. all species of land occupants were “endangered”: plants, animals, insects, etc. Well insects are animals, and this is an outrageous claim. No evidence is provided because narratives don’t need them. There was “no one home”. Are you kidding? Homo was not abundant before its expansion out of Africa because of the ecological niche it occupied. Laughing out loud. Perhaps the tree was burning because of a forest fire. Who needs science when capable of telling tales. Everyone was hungry all the time as there was little food to be had. Many children died and few able to survive. Families struggled to feed not just themselves, but their offspring. Now seriously that describes lots of mammal and bird species and humans up to the 19th century. It is the basis of natural selection that most of the offspring doesn’t make it on bad years. Greed, bullying, and dominance had value. the Neanderthals didn’t make it. It looks it was our fault. Frankly Susan Corwin, writing a narrative proves popular as we can see from the comments, but it has nothing to do with science. You are probably an Arts major, as this type of writing based not on empirical evidence, but on logical or anecdotal evidence is very popular in non-scientific disciplines like sociology where you can pretty much claim anything without any evidence and still get a good discussion out of it with people not demanding to see the evidence. It would be better if you labelled your article as a work of fiction. If you strive a little more you can reach the level of “The Clan of the Cave Bear” of Jean M. Auel, and don’t deceive anybody while making very good bucks. That part about the children suffering for lack of food due to the dust is pretty good. The location where one would expect agriculture during the last glacial advance would the around the Mekong valley and Cambodia. This region had warm temperature, adequate rainfall, humans, and Eurasian plant and animal life. Of course this is now a bad area for research or fossils, and much of the interesting area is now shallow seafloor. With 40,000 years of human occupation, one would expect some agriculture. What were these slackers doing? Low CO2 seems to be the best answer. I was reading about the ancient wild wheat and barley that still grows around Gobekli Tepe (the very first stone temple (the first stone-work even) – 11,800 years old in southern Turkey – some of the oldest permanent settlements are also nearby and dated to the same time – the Natufians in the Levant may have preceded this date in terms of gathering grains and settlement however). They tested these strains of this ancient wheat and barley in ice age conditions CO2 and those of modern levels and the ice age grains were only half as big. By the time of the construction of Gobekli Tepe, CO2 had risen to 250 ppm. If the grains were only half as big, I don’t think it would have allowed for permanent settlement. I note however, that the dates for the Natufians coincide with the first jump in CO2 to 250 ppm 14,600 years ago but then it went down again into the low 200s again and the Natufian culture disappeared. Then permanent settlement came back around Gobekli Tepe with CO2 back up to 250 ppm. Just interesting I guess. This is what this ancient wild wheat looks like today. Found another example. Rice (C3) and Foxtail grass (C4). Now I’d like to see the experiment repeated with half the water supplied. I think you see here that the C3 Rice (and wheat is also a C3 plant) have only half the growth once you get down to 200 ppm CO2. Now also make it dryer and these plants are not going to produce seeds. The Foxtail grass (C4) is more-or-less okay at 200 ppm and doesn’t benefit greatly by increased CO2 after that but a little anyway. I’m thinking based on the CO2 levels of when Agriculture emerged, that the CO2 level of 250 ppm is the bottom limit. If you look at the last 1.8 million years since Homo Erectus came on the scene, there is very limited time-scales when CO2 was high enough. Most of the time that humans looking like us have been around, it was low CO2 environments with mostly desert and grassland and that is the environment we live in and adapted to. Once CO2 got over 250 ppm the next time, 14,600 years ago, Agriculture was almost immediately invented in the Levant and then southern Turkey at the next shot. They spread it around afterward. CO2 last 1.8 million years on the bottom scale to get a better idea of the time periods. As you say the first one doesn’t appear to tie in with a glacial maximum. This is a response to Bryan’s glaciation map showing Australia. The map shows glaciation down the east coast of Australia from Brisbane to Tasmania approximately 1800 km. However on the mainland glaciation was restricted to about 25sq km on Mt Kozciuscko (which wouldn’t show on a map this scale) and the higher areas of the west half of Tasmania, perhaps 5-10,000 sq km. There was no glaciation across the Bass Strait land-bridge. I can’t comment on the rest of the world in this map, but when I find significant errors in something I know, I tend to be sceptical of all the data from the same source. Hi ristvan, – The last 44,000 years of dust in Greenland ice always most from east asian terrain. As per Svensson, et al. “Characterization of the late glacial continental dust in Greenland ice core project ice core.” Asian land cover & habitat use changed as well. Dog needed walk …. An example of land use in asia unrelated to CO2 is how the high terrain of China & Mongolia responded around 7,000 – 8,000 years ago to reliable south east monsoon precipitation. From 7,000 years ago to 3,600 years ago these north east monsoons made rain fed millet cultivation possible. However, then the north east monsoons became predominant & these resulted in the region recieving less timely rain that excessively dry conditions for even the local millet crop to be productive. In response to failing agriculture due to rain pattern changes the pastoral nomads moved into the terrain. I venture that even if there was elevated CO2 levels at the time that would have done nothing significant to alter the dynamic, which was driven by the altered monsoon pattern. As for which land use & rainfall pattern generated more dust my thinking is that in the region grassland free range practise generally conserves the soil top layer better. For above cited details see Huang, et al. “Holocene pedogenic change and the emergence and decline of rain fed cereal agriculture on the Chinese loess plateau”. Edit 1st paragraph last sentence should read ”south” & not “north” monsoons. but that is mucha latter. How do you explote a horse? Especially while drinking a mucha latte? Apparently it’s easier than exploting a zebra. What caused central Asia to turn into a “dust bowl” during the last ice age.? lt was the ice age weather pattern set up over NW eurasia which lead to persistent high pressure blocking over the central asia area. So drying out the climate. This idea came to me while watching the “ice age” weather pattern set up two weeks ago. lt confirmed what l suspected. That low pressure over the NW Russia area, was a common weather pattern set up during the LGM. When this happens intense areas of high pressure form over central asia. A persistence of this type of weather patterning over the longer term would have dried out the climate of central asia. Actually, evidence of our social cohesion indicates that alliance and cooperation had superior survival value. Paul Bingham has derived a fascinating and, I think, very strong evolutionary argument that learning to kill from a distance is the mechanism by which humans achieved social cooperation and ultimately our ethics. From the summary section: “Paradoxically, the vastly enlarged social cooperation among humans arises as a straightforward consequence of a novel capacity for a unique form of violence against conspecifics. “The local population of bipedal apes (australopithecines) immediately ancestral to the first members of Homo 2.0 to 2.5 million years ago acquired the capacity to reliably kill or injure adult conspecifics from a distance — remotely. They were the first animals in the history of the planet to be able to do this. This capacity resulted from their evolution of unique human virtuosity in throwing and clubbing, skills that are displayed in American baseball. Throwing stones from a distance, two humans cooperating against a third have half the chance of getting hit, while the third has twice the chance. That amounts to a factor of four advantage to the two, increasing to nine for 3-against-1. Cheating bullies could be eliminated from a band by the cooperative action of allies. Bingham’s published several more papers, but more recently co-authored a book with Anthropologist Joanne Souza, Death from a Distance and the Birth of a Humane Universe, which is available at their website. Definitely recommended reading. Bingham’s theory solves the problem of human altruism. In the end it’s who we are. Thanks for those excellent links, Pat. A fascinating topic which is of great interest to me. Thanks, markx. I too am very interested in the evolutionary origin of our ethics. Interesting and very valid analysis, but IMHO the ability to kill large herbivores is only one consequence of evolving intelligence in the face of environmental stress caused by cold climates. Evolution by natural selection works fastest when the survival rate is lowest, which in practical terms means the food supply is at its lowest. Those who survived had the ability to reason, and this led to (a) the ability to kill large furry animals to eat when fruit became scarce or non-existent, (b) the ability to use the hides of large furry animals as clothing to tolerate cold climates and (c) the ability to use fire in a controlled way to help stay warm. Using fire for heat probably led to using fire for light, which made occupation of caves practical, and that may have led to development of communities in fixed locations. 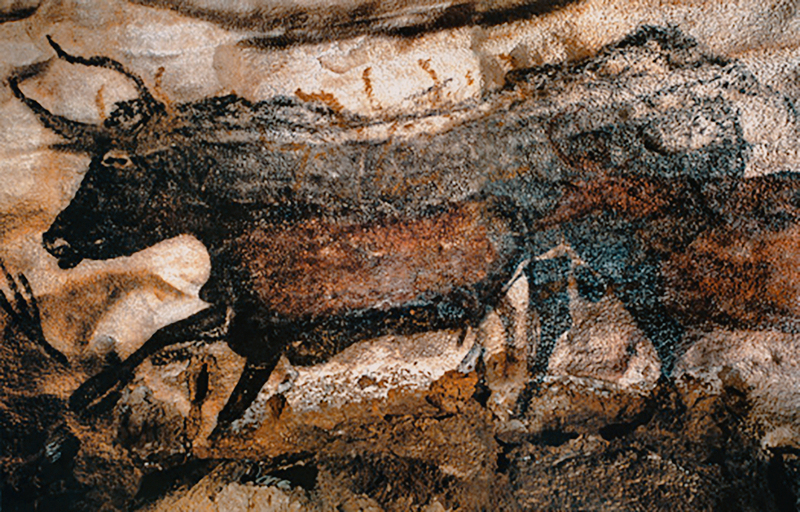 And the need to collaborate in group hunts may have been the origin of language. And so on and so on. Intelligence probably growing by leaps and bounds as long as survival rate was low. It’s no coincidence that hominids evolved during an ice age; our ancestors had to be intelligent to survive the sudden stress of rapidly changing climate. When the next glacial period comes and the planet can no longer sustain 7 billion people, that will be a bit of a challenge. When our ancestors could no longer kill cheats, cheats prospered. The key phrase is “Net Primary Productivity” and there is a lot of published work in this area. Every species of plant has an equation worked out for it as a function of growing degree days. Almost all respond to CO2 as with a linear equation with a driver around constant*logn*(CO2/CO2-o) all things being equal. Its been known for a long time that the ancient varieties of cereal crops have a much higher driving response to changes in CO2. The real question is what is the NPP output for a given planting of wheat or other cereal crop and the human energy required to plant it, weed it, harvest it, and then store it? At what point is it more useful to stay in one place for a crop rather than be a hunter as a function of the NPP ( yeild) of a given crop? Haven’t even read it yet. I object to the headline. “Threading”? Is this a thing, verb, appositive now? Clear language will help all here. We are here, it was survivable, conjecture, what is your point? Oops, I said C4 when I meant to say C3 and vice versa. C4 plants can grow down to 10 PPM CO2. You make an important point Donald: despite what the CO2 worshippers here have talked themselves into, a world with slightly lower atmospheric CO2 is not that bad really. So flirting with measurable disaster is better than enjoying the proven benefits of CO2. And all for no proven climate benefits. You aren’t doing as well lately as you might think. a world with slightly lower atmospheric CO2 is not that bad really. Unless you really need very high crop output to feed 7.5 billion people and growing. Yup. Six hundred ppm would be better than 400 and 800 to 1200 ppm best of all for C3 plants, which include the majority of crops and all trees. And please do remind us what categories of plants comprise C4? In the ice age paper by Ellis and Palmer, I propsed the same thing. But I suggested that dust production was mainly from high altitude regions in China and Mongolia. This is because the partial pressure of Co2 is naturally lower at high altitude, and because the dust in the Greenland ice core has been isotopically identified as comming from the Gobi desert . (The Gobi is mostly steppe pasture at present, rather than desert. But during the LGM, it would have become a CO2 desert. Not an aridity desert, as moisture levels actually increased in many regions, but a CO2 desert.). But it is difficult to get this message accross, as one reviewer blocked the paper by saying that CO2 has the same concentration at altitude as at sea level, and therefore plants would not be starved of CO2 at altitude. In return I asked him-her to go to the top of Mt Everest, and see if he-she was starved of oxygen or not. After all, the concentration of oxygen is the same on Mt Everest as at sea level…. Evidence that this ice age modulation claim is correct, comes from the complete lack of ice sheets in the Asian northeast. 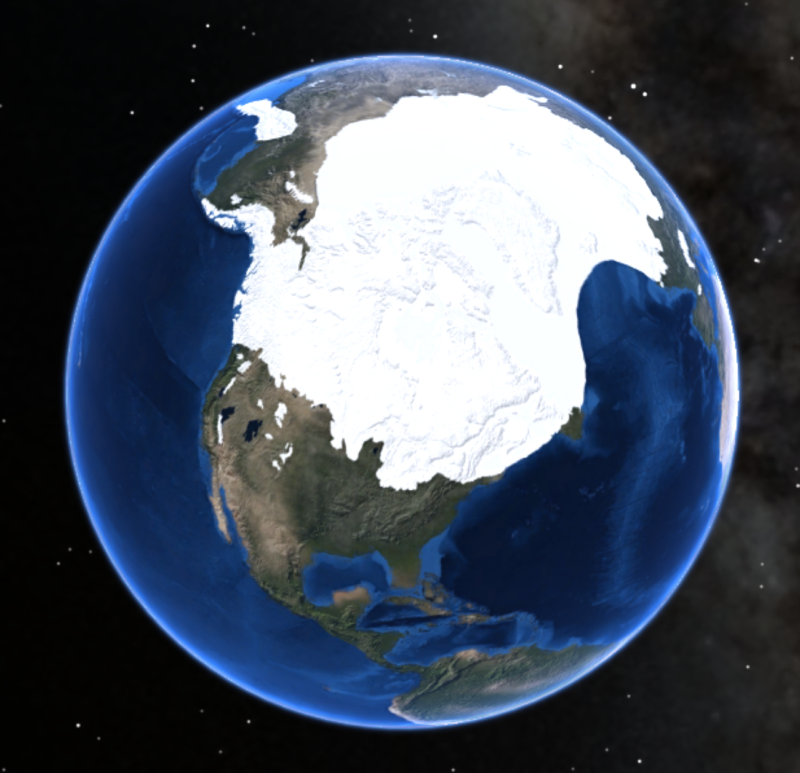 So why did one of the the coldest regions on the planet not have an ice sheet? Answer – it was doo close to the Gobi, and received too much dust to allow ice sheets to form. Too much dust or too little precipitation. You really have no idea but you present your preferred explanation as the only possible one, and that is hardly scientific. With the entire Arctic covered in permanent ice, where would the precipitations to build a huge ice sheet in North East Asia come from? Dust is a symptom, not a cause. You have it backwards. Is like blaming the fever for the disease. >>precipitations to build a huge ice sheet in North East Asia come from? The Pacific ocean has a clockwise rotation, pushing warm waters (and typhoons) up past Japan and beyond. So the Kamchatka peninsular is the wettest place in the Asian east, with rainfall at over 900 mm pa. There is plenty of moisture in the region now, and no reason to believe that there would have been insuficient during the LGM for ice sheets to form. The Kamchatka peninsula was covered in ice during the last glacial maximum, and you really have no idea how much precipitation there was in the North East parts of Asia that were not covered in permanent ice. So your idea that it was due to dust is simply a conjecture as it is not based on any evidence whatsoever. Do you distinguish between conjecture, hypothesis, and theory? You haven’t even checked your conjecture against Wikipedia. No a good symptom. The formation of an ice sheet or ice cap requires both prolonged cold and precipitation (snow). Hence, despite having temperatures similar to those of glaciated areas in North America and Europe, East Asia remained unglaciated except at higher elevations. This difference was because the ice sheets in Europe produced extensive anticyclones above them. These anticyclones generated air masses that were so dry on reaching Siberia and Manchuria that precipitation sufficient for the formation of glaciers could never occur (except in Kamchatka where these westerly winds lifted moisture from the Sea of Japan). The relative warmth of the Pacific Ocean due to the shutting down of the Oyashio Current and the presence of large ‘east-west’ mountain ranges were secondary factors preventing continental glaciation in Asia. Ralph, thank you for introducing the concept of CO2 desert. The implications are significant. I look forward to learning more about this. So the arrival of humans caused the extinction of the megafauna! Everywhere? Are we now accepting that correlation is always evidence of causation? I can and do accept that the arrival of modern humans on island land masses quickly kills off juicy turkey like flightless birds and their eggs as easy meals. But I am far less convinced that the same principle holds true of continental size land masses. Anyway, didn’t the kangaroo survive the arrival of the first people in Australia? Or elephants in Africa and Asia, let alone lions and tigers. We seem to be thinking in terms of people in vast numbers, but the reality is that humans barely survived the Toba event and the human populations credited with killing off the megafauna were on their own far too small to have achieved that result. And that’s before we get on to a consideration of their behavior. Early people don’t behave like crazed animal killers but rather like the first people in Australia live in relative harmony with the fauna around them. It makes no sense to go on an animal genocide murder spree if only because the effort required is too great. I don’t dispute humans played a role in the extinctions, what I doubt is crediting the whole megafauna shebang to some kind of deranged behavior never observed or convincingly demonstrated amongst subsistence cultures. They were too busy surviving and the few thousand years between the emergence of people from Africa to the present day isn’t enough time to achieve the claimed result. Does it not seem that blaming evil humans for everything to do with the megafauna extinction seem a slightly familiar refrain. Can you eat monitor lizards? Would you want to? The evidence seems to point towards, ecological and environmental factors being the most important. Monitor lizards have played a pretty big role in the diet of many indigenous peoples. Tastes like chicken. I’m with you Moderately Cross of East Anglia. This theory doesn’t look plausible give the limited population of humans and their technology – sharp pieces of rock tied to sticks or poles. Even the plains Indians in North America possessing horses and modern firearms were unable to extirpate the bison. It took an organized, industrialized and deliberately focused effort by their enemies to all but accomplish that. This Arrival of Humans Led to Extinction Theory appears to be the environmentalist’s equivalent of Original Sin. Both are tenets of their respective faiths that proclaim the depravity of man and therefore impose guilt and the need for redemption and tithes. Humans have demonstrated their ability to hunt species up to complete extinction multiple times. What you ignore is the amount of time they had at their disposal. We are talking about many thousands of years. We know that mammoths survived in small islands under less than ideal conditions until man arrived to those islands. Domestication was also a huge factor in extinction. Many domesticated species went extinct in the wild rather quickly after domestication. This is serious evidence that we were responsible. Not every megafaunal extinction was due to man, but the evidence is pretty strong that man was responsible for driving a big part of megafauna to extinction. They were their preferred prey. They had few natural enemies if any, could be hunted easily by a band, and provided a lot more bang for the buck. The only continent were megafaunal extinction was moderate was Africa, our home continent. The megafauna there probably had time to adapt while we were developing our hunting skills over 2 million years. Javier, a couple of points you make are what leads me to question the theory. One, the time frame of thousands of years that you mention would seem to make possible a variety of contributory causes beyond the mere presence of humans. Second your point about the survival of relict populations cuts two ways. The rarer a prey species becomes the more likely humans are to shift their focus to more numerous sources of protein. “Seen any mammoths in these parts, Ugar?” “Nope but look at all those rabbits. Hand me a rock. I’m hungry.” Mammoths trapped on an island with humans are going to get eaten to extinction. Vast herds in open territory are likely only be nibbled on by small bands following them. After a kill the humans will have to pause in their pursuit to process the carcass. While they’re hacking away the hide, slicing strips to dry over the smoky fire and butchering out the roast for the evening feast the herd moves on and the humans will have to pursue on foot; remember they ate all the horses. When it comes to the relationship of domestication to extinction what’s the motivation to wander the wilderness and slaughter something you’ve got penned up on the south forty or actually living in your tent. Also not mentioned, people had domesticated dogs (wolfs) 15,000 to 30,000 years ago. A very potent hunting weapon. Others could have been the disease hypothesis and confirmed rat & fleas in later extinctions. The case for man-made extinctions not only on islands but continents is clear. That some kangaroo species survived is not evidence that larger animals weren’t killed off by humans. They were, either directly or indirectly due to loss of prey species among predators. In North America, bison, elk, deer, antelope, etc also survived, although in generally smaller forms. But the largest megafaunal species were wiped out, eg mammoths, mastodons, ground sloths, etc, and many of the medium sized, such as stag-elk, camels, llamas and horses. Others were extirpated in the Americas but survived in Eurasia. Rate of reproduction is a factor as well as just amount of meat per kill. On the contrary, Mr. Cross, the “buffalo jumps” (yes, I know they were really bison) in the North American west show subsistence hunters do behave like mink in a henhouse when opportunity permits. And yet the animals still survived so I don’t buy the human-caused extinction, except in a few rare cases where a population has become isolated, Dodo for example, or perhaps the mamoth. Overkill isn’t deranged. Even when people recognize that a resource is limited, historically we have mined it out. But paleo and archaic Americans didn’t think of megafauna as depletable. Hunters have as often as not been wasteful, not just in the Americas, but throughout the world. One revolutionary aspect of pastoralism and agriculture is literally husbandry, ie husbanding resources. Paleoamericans were no more depraved than Russian sea otter hunters who almost wiped out those winning creatures, the same people who did cause the extinction of Steller’s sea cows. Which, if depraved, pales in comparison with Spanish conquistadors’ wiping out various Caribbean Indian tribes or British settlers murdering Aborigines. Or for that matter 20th century totalitarians targeting religious and ethnic minorities. Moderately Cross said……..”Anyway, didn’t the kangaroo survive the arrival of the first people in Australia? Or elephants in Africa and Asia, let alone lions and tigers”. Elephants, lions and tigers didn’t have to survive a “contact” with humans as they evolved alongside them and, in some cases, ate them. They didn’t have a real problem with humans until the Romans “needed’ them for their games. Current problems are due to humans with firearms. 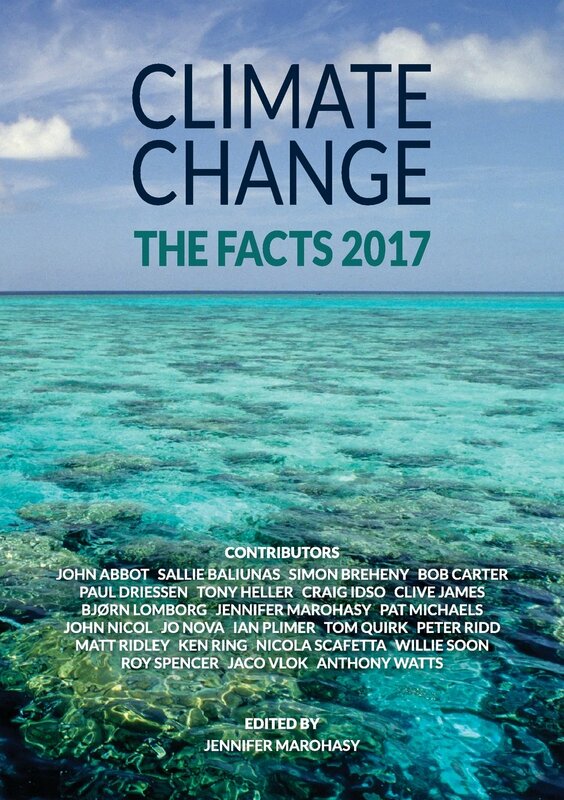 The garden of eden/noble savage supporters desperately want evidence that climate change killed off the Australian mega-beasties. It’s unfortunate that their demise occurred around the time of human arrival. The Noble Savage living in Harmony with the Natural World is one of those tropes found in literature rather than life. Look up “fire-stick agriculture” and recall that loss of (unmodified) habitat can do a species in just as effectively as eating it. What you get after >50,000 years of human occupation are the plants and animals that managed to survive human presence and practices. Thank you Tony, but I still would prefer flightless bird. But of course the real point you make is that a species which is on the diet of indigenous people is still alive and kicking today. So why do we believe indigenous people in the ancient past killed off not only their food animals but virtually everything else as well. It just doesn’t make sense. It makes perfect sense. It has happened in historical times. The instances are legion, from dodos to great auks, from aurochs to (almost) the American bison, saved at the last minute. Passenger pigeons once darkened the skies in their millions. They were hunted to extinction while their hardwood forests were cut down for wood or cleared to grow corn. Why is it hard to imagine people of 11,000 years ago doing the same? Or consider the forests of Easter Island. Chimp, that little phrase ‘historical times’ is part of the reason for doubting ancient extirpation. Historical time include methodology that was clearly unavailable to Paleolithic peoples, firearms, transportation, a market for the meat beyond a small group’s needs. By the way I believe the aurochs were a causality of WWI combat. The last recorded live aurochs, a cow, died in 1627 in the Jaktorów Forest, Poland, from natural causes. The causes of extinction were unrestricted hunting, a narrowing of habitat due to the development of farming, and diseases transmitted by domesticated cattle, and maybe interbreeding with the latter. So if the claim that humanity, by way of CO2, has prevented the Earth from falling back into an ice age is true…. Having grown up close to arctic circle, the nuclear winter scare was more convincing at the time. After all my ancestors had narrowly escaped devastating famine caused by a year without summer in the watermelon optimum at the end of the 1800’s. Agriculture was not discovered 13,000 years ago. It was between 10,000 and 5,000 depending on location. Great graphic for illustrating ocean iron fertilization. Dust contains iron which makes plankton grow. Plankton make clouds. Clouds make the planet cold. Plankton also sequester CO2 in the sea bed. Lower CO2 means fewer plants and more dust, but also slower plankton growth. All readily visible in the records. CO2’s influence on the climate is modest, highly non-linear and mostly through biological systems. I enjoy the lack of agreement by paleo folks. It’s what makes for good science rather than the religious beliefs of the co2 believers. No problem for me with religion as long as we call it that and recognize that it is faith based. Javier makes reasonable points but I’m not convinced that the extent of the megafauna extinction is explicable even with the thousands of years he mentions given the small numbers of people involved. Indeed the fact that African species did survive in the first continent modern humans occupied poses a big question mark against it being mostly down to humans. Just an Old Guy’s note about pointy spears and rocks is the issue. Doubtless dogs would prove useful once domesticated, but were they as widespread and more effective than wolves and other canine predators? It would be interesting to make a list of which megafauna species we would credit our ancestors with driving to extinction. And why our ancestors wouldn’t have targeted the remainder. The domestication of some species may indeed have driven the wild varieties to the margins, but it might also have led to a loss of interest in the surviving originals by humans. Is the number of people sufficient to have caused continental wide extinctions ? Nobody argues that every megafaunal extinction was due to man. We know that the Dire Wolf became extinct in America before the arrival of mankind. The megafaunal extinction was clearly multi-factorial, but between those causes it is pretty clear that humans were one. And the important point is that the Megafaunal extinction took place in the Late Quaternary, essentially since 117,000 BP, and accelerated during a second wave that started around 40,000 BP. So why did it not happened before during previous interglacials? Many species that went extinct were from hundreds of thousands to millions of years old. 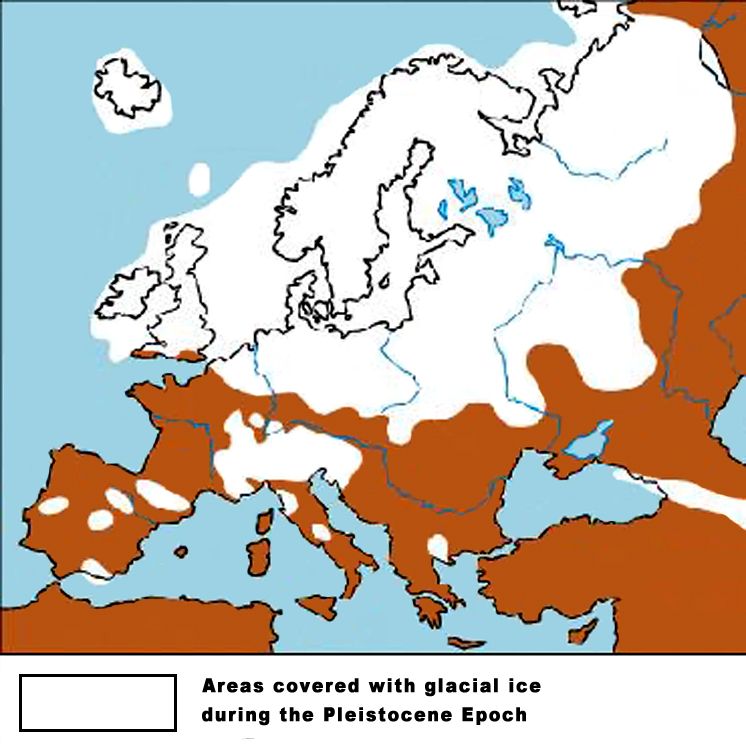 Why did they choose the Würm/Weichselian/Wisconsin glaciation out of many other glacial periods to go extinct en masse? What was different this time around? I think we all know the answer to that. What really distinguished this glacial from others was us. Early modern humans during the first phase of extinctions up to around 50,000 BP, and afterwards modern humans when extinctions really accelerated. The extinctions did not diminish with the arrival of the Holocene, so it is tough to invoke climate change as the extinctions cover equally cold periods and warm periods. And it looks like most megafauna was safe in certain continents except for the occasional extinction, until modern men arrived there. Some people try to build narratives to justify that it wasn’t us. However I think that the evidence is pretty clear that the emergence of an intelligent species has been poison to the planet from day one, and one of the first things we did was to prune our own tree to eliminate any competition as far low as we have been able to. We still have chimps, orangutans, and gorillas because they hide deep in the jungle, but I believe we will take care of that oversight in just a few decades. That we are exterminating the great apes that are no competition to us, and people still have doubts that we did the same with Neanderthals that were direct competition looks like an exercise in hypocrisy to me. We have changed very little in the last 40,000 years. Javier self reveals much in the hoary misanthropic and self-loathing claim that man is an aberration of nature, a tragic fluke of evolution, a mistake of Gaia – that earth would be paradise but for the ascent of man. Ditch the self flagellation, I enjoy your factual reasoning much better. Javier, you have made good points in the past. And you may be right about humans being responsible for extinguishing large animals. Or you may be wrong, and most probably you are partly right. But humans are a product of evolution too. We are not separate from nature, we are a part of it. This is neither good nor bad, it just is. The evolution of intelligence and the ability to modify our physical environment in very substantial ways is a direct consequence of the (accidental?) formation of the first DNA molecule back in the Archean. It had to happen at some point, barring the elimination of life by a cosmic event. The present ice age provided the proximate stimulus for evolution of intelligence, but it presumably would have happened at some time anyway, during some future time of severe environmental stress. I suggest that you stop feeling guilty about it. Humans have been orders of magnitude less poisonous for the planet than were the first photosynthetic organisms, which produced the Great Oxygenation Catastrophe over two billion years ago. There is a large number of organisms which have benefited from the proliferation of humans. I regret as much as anyone the loss of the Pleistocene megafauna, but our advancing technology will permit some of them to be resurrected. Others, like Przewalski’s horse, can be bred back into survival. And eventually, people will venture out into and colonize space, perhaps leaving some wild type humans back here on earth. Evolution will compensate for whatever life forms to which we have contributed to the demise. Until the sun makes the surface of our planet uninhabitable for complex organisms, extinctions will continue to be made up for, as after mass extinction events far worse than anything in the poor power of humans to effect. African megafauna did better because they grew up along with evolving humans, so weren’t naive, as were Eurasian, Australian and American large animals. In many cases, we have smoking guns, as with spear points in mammoths at kill sites and burned egg shells of giant Australian flightless birds. We also have the example of island extinctions following the arrival of humans. This includes Caribbean megafauna which would have died in the supposed impact event but in fact survived the YD, only to be wiped out thousands of years later. when people first landed on their island refuges. I’m with Moderately Cross on this. We comment regularly on here that correlation does not equal causation. This extinction puzzle is no different. Much more likely that humans, their dogs, or other land bridge migrants brought diseases from Asia that decimated N.A. fauna. The mega fauna would have been more susceptible to extinction due to more limited numbers, perhaps exacerbated by additional hunting pressure. The evidence for the theory of human migration through the “ice free corridor” is nonexistent. The more recent theory is that they came along the ice edge by sea and infiltrated N.and S. America along the valleys of rivers. This makes infinitely more sense. Regardless, humans couldn’t have spread quickly enough to wipe out all these species. On this point of extinctions, people have to take into account that the extinctions of megafauna occur where mans natural predator is absent …. i.e. Disease. Humans populations were more vulnerable in Africa, thus we had little impact. However , put us in a colder climate absent the plethora of diseases that plagued our ancestors in Africa, and we flourish at the expense of other populations. We simply outbred them, while using them for food. In Africa, this is not so. I’m with Javier here. There are huge assumptions and generalisations being made in this article. Where do the data displayed on the graphs come from? Where are the locations of the data points? The whole planet was allegedly dustier in the glacial? This conclusion is reached from the data at one specific location? Maybe this post is a piss-take to show how people at WUWT jump on to a theory that is against the importance of CO2. I don’t believe CO2 is as important a control on climate as the IPCC think, but….. Here are a couple of examples suggesting something different from this article. Along the south coast of Africa, hunter gatherers fished and ate seafood both in the last glacial and the previous glacial – Marean et al 2010 J Human evolution 59, 234. So they survived, ate local seafood, no mention of different dust levels. Neanderthals apparently existed until 39000 years ago, or possibly 28000 at least at a site near Gibraltar in Southern Spain. They may have co-existed with homo sapiens. OK, I know the last link is to National (sealevel rise inundates the statue of liberty) Geographic, but the dates are much later than the extinction date given in this article. Those are just 2 points that quickly come to mind, which are contrary to the view raised here, without thinking what might come up if the hypothesis given here were properly dissected. This needs a little editing. Although it may be correect that we came out of the trees due to poor tree growth, but it was several million years previously. Susan wrote: “Agriculture started about 13,000 YAG when “it became possible”. The graph immediately below show agriculture beginning after CO2 rose and shows that “agriculture worked” when CO2 rose to 250 ppm. Nevertheless, agriculture began INDEPENDENTLY at different places around the earth AT DIFFERENT TIMES. CO2 rose to 250 ppm everywhere at the same time. The first signs of agriculture may have appeared 13,000 years ago, but it took many millennia to develop elsewhere in the world. Obviously, CO2 greater is not the ONLY factor that made development of agriculture possible. CO2 was greater than 250 ppm in previous interglacials. Why didn’t agriculture begin then? Agriculture began in one location when CO2 rose to 250 ppm. It didn’t start in a dozen of other locations at the beginning of another dozen interglacials. Clearly a rise above 250 ppm had little to do with the beginning of agriculture. The crops used in human agriculture are variants of wild plants with several mutations. It is generally believed that humans harvested such plants from the wild and – when they resided in one location for long enough – created conditions several key mutations useful to humans converged in one line. In other words, hunter-gathers unintentionally bred plant variants that made agriculture practical when they could survive while living mostly in one location, rather than constantly wandering. The incorporation of CO2 into plant material is often the rate limiting step in the growth of plants. A 25 ppm rise in CO2, therefore could increase the rate of plant growth by 10%. It is doubtful that a 10% increase in growth rate is what made agriculture practical. The most likely reason agriculture began in this particular interglacial is because a mutation that made speech more practical occurred during the last glacial period. With the ability to communicate better, humans were more likely to find it advantageous to live in small semi-permanent communities where mutations important to agriculture could be collected. IMO, anatomically modern humans (AMHs) living during the Eemian Interglacial, c. 115 to 130 Ka, had verbal abilities comparable to their descendants today. They were however largely restricted to Africa, but did live in groups. AMHs evolved around 200 Ka, however agriculture might not have developed during the Eemian, despite CO2 at about 330 ppm, because there wasn’t any need for it in the rich environment of the tropical and subtropical African homeland of AMHs. 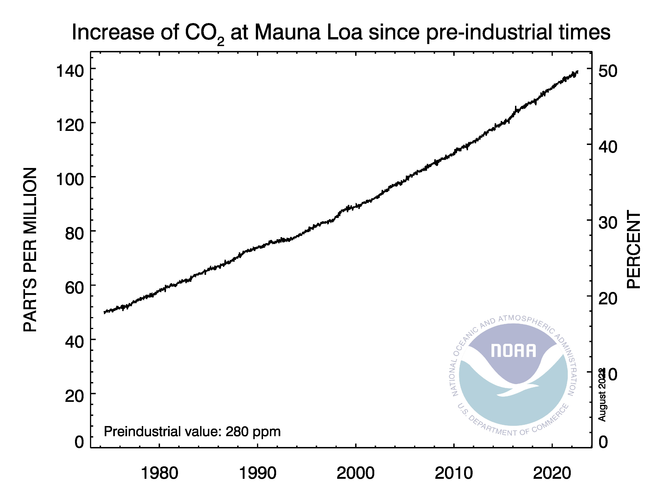 A 25 ppm rise can make a large difference if the CO2 levels are at 200ppm. The IPCC WG1 AR5 Report discusses the CO2 fertilization effect on page 502. They estimate a greening of the Earth, due to warming and CO2, of 6%. This is at the low end of published estimates. that was since 1980 or about 60ppm rise. Agriculture in the Levant is thought to have arisen because of more seasonal weather being better for annual plants, about 9000 years ago. Figs were being farmed 11 500 years ago. Rice and millet farming started about the same time in China. The precursor to corn, teosinte, began to be cultivated 9000 years ago, about 1000 years after squash in the Americas. Before the Holocene, it might have been still warm and wet in the tropics while the rest of the planet was cold, and people had started sort of farming with tubers and sugar cane in the tropics, most staples are farmed in areas with large seasonal changes. This might have been the bigger driver than CO2 levels. We nearly became another Mars. And may yet!